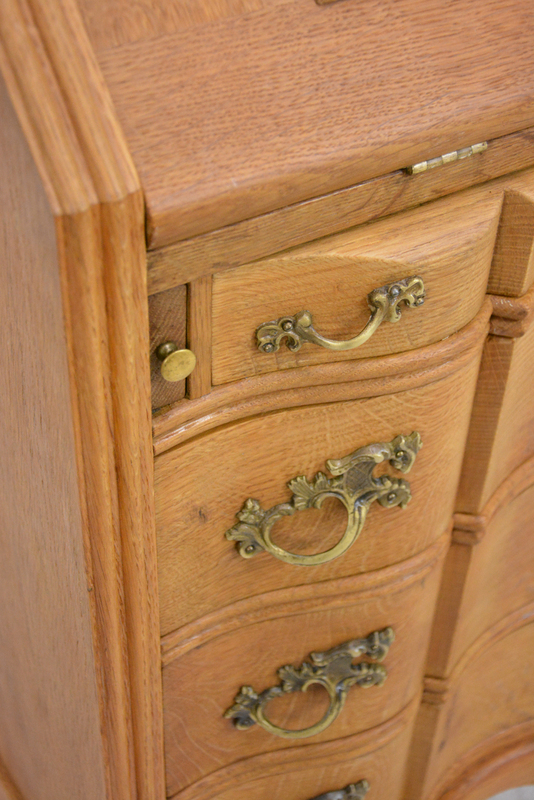 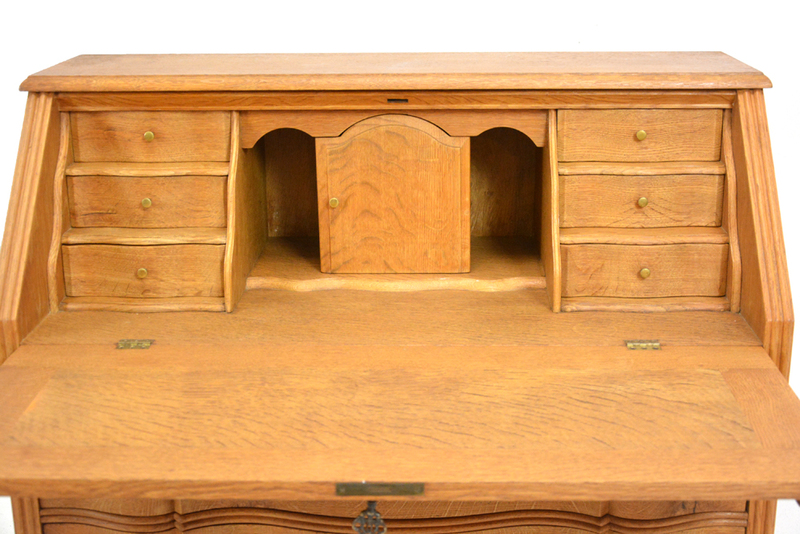 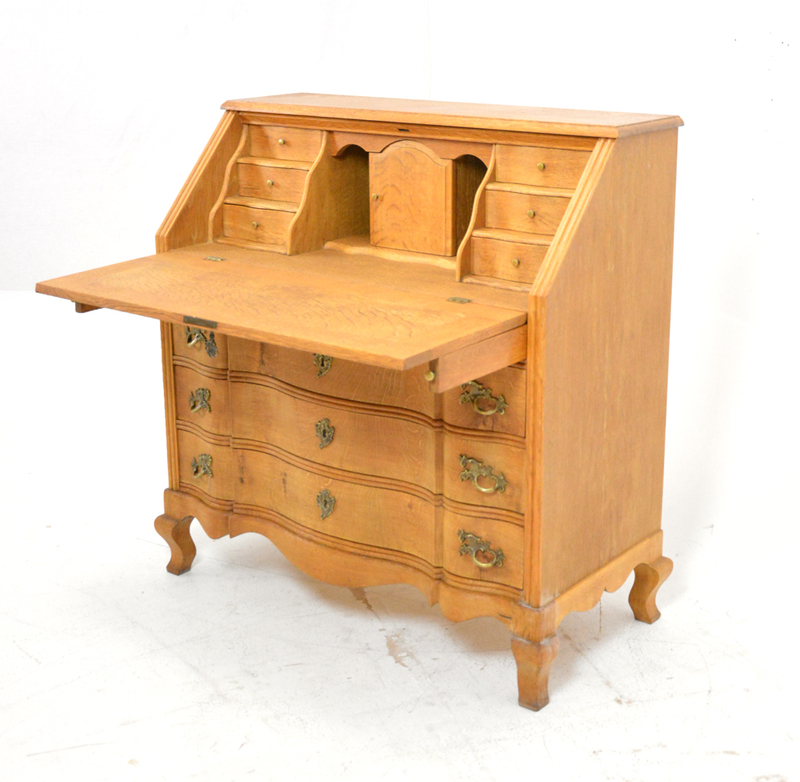 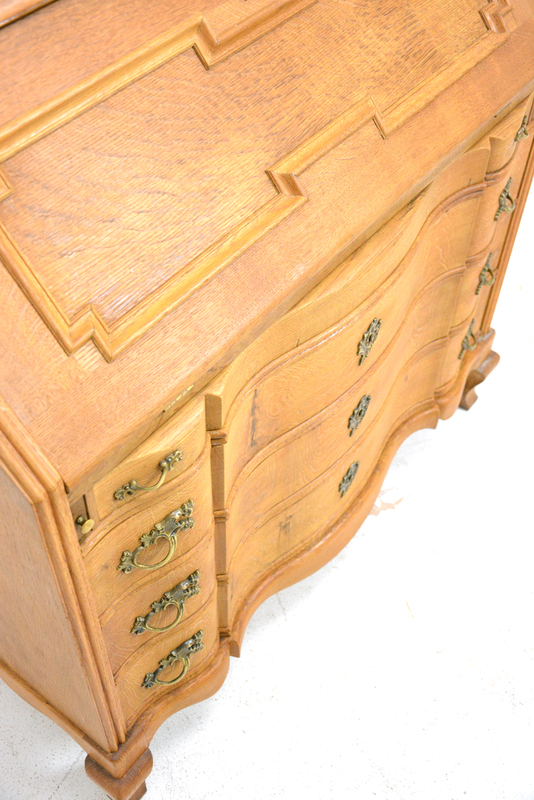 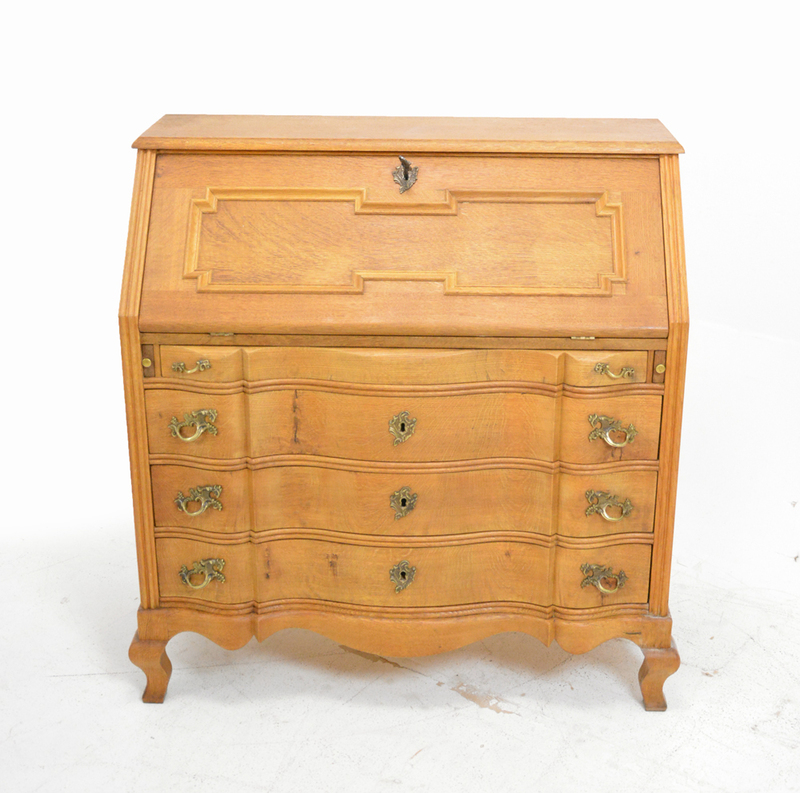 Stylish Danish antique writing bureau in golden solid oak with curved drawer fronts, locking drawers, writing desk, and a secret compartment. 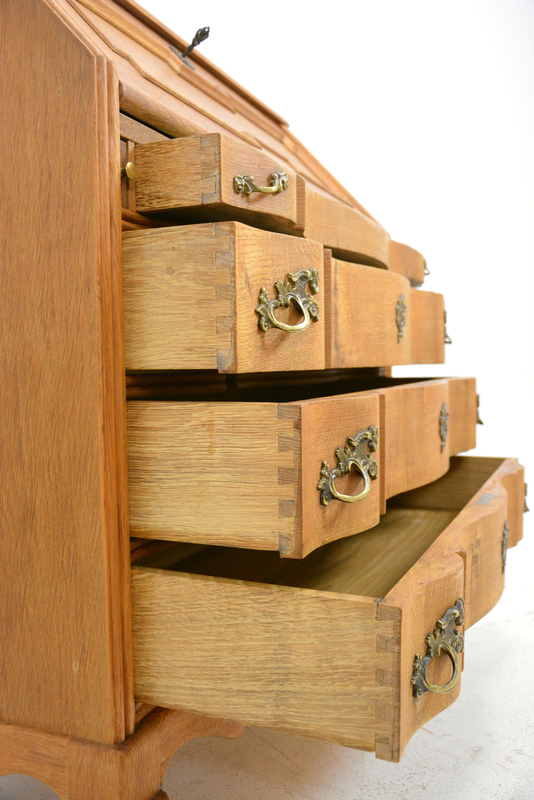 3 large drawers provide storage and can be locked using the same key while the shallow top drawer is not lockable. 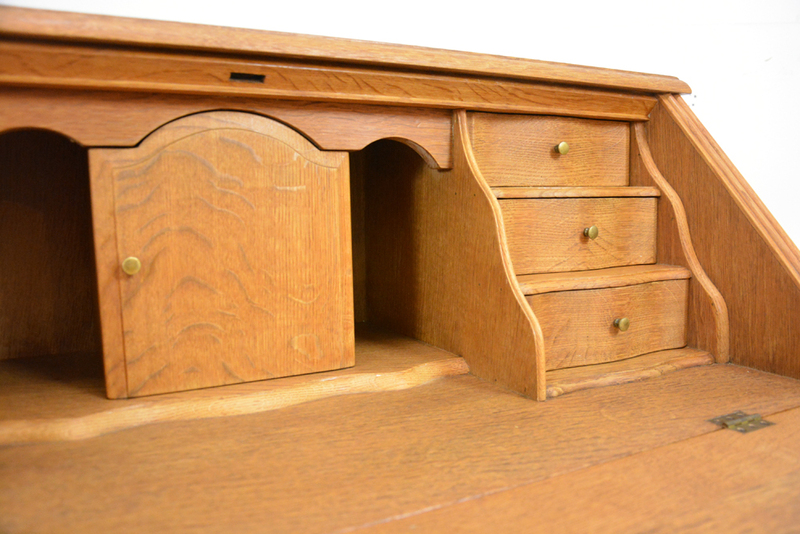 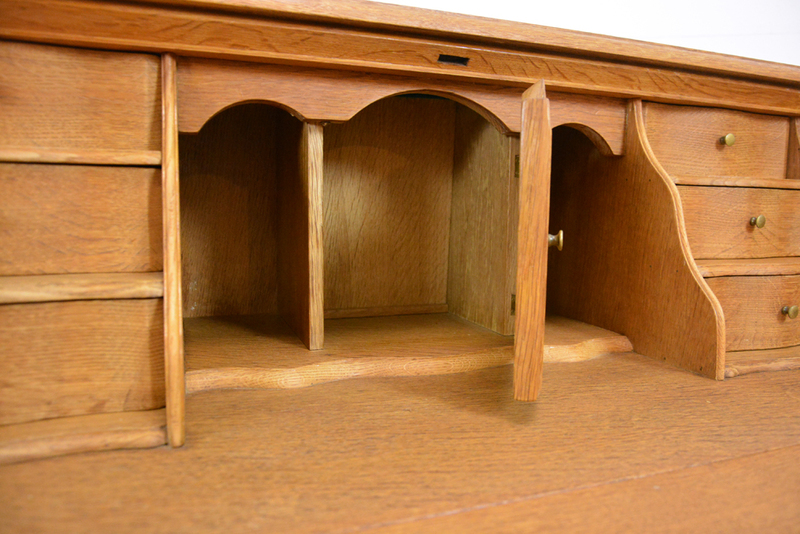 A generous drop down and under-supported writing surface reveals internal shallow letter drawers and compartment with door. 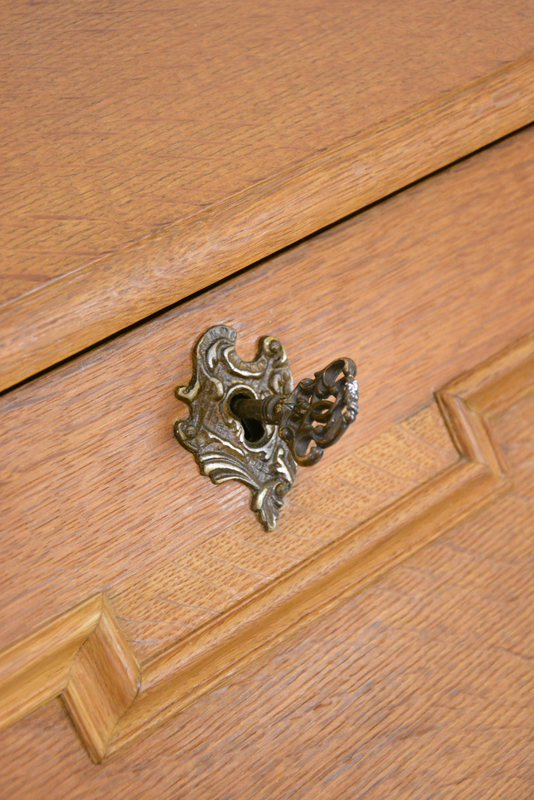 The bureau and all its parts are made entirely of solid oak which is evident on the drawers where the end grains of the timbers are visible. 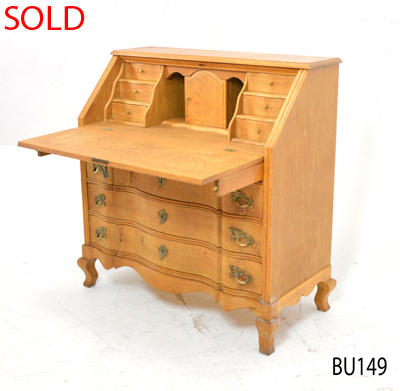 Condition: Excellent with age related patina and clear bees-wax finish.